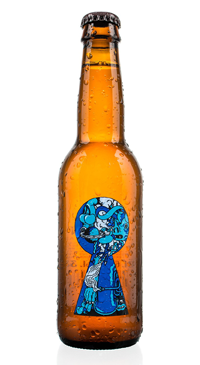 Omnipollo is an award winning beer producer that was founded in 2011 by Henok Fentie and Karl Grandin from Stockholm, Sweden. The two conceive their recipes at home, then travel to breweries around the world to craft their ales. Brewed with Champange yeast, this Belgian inspired ale pours a golden yellow with malty aromas of caramel, pine, spice, and floral hops that lead into a fruit froward palate and a bitter finish.